Washington State casinos can be found in large cities and small towns, on the waterfront or in the suburbs. 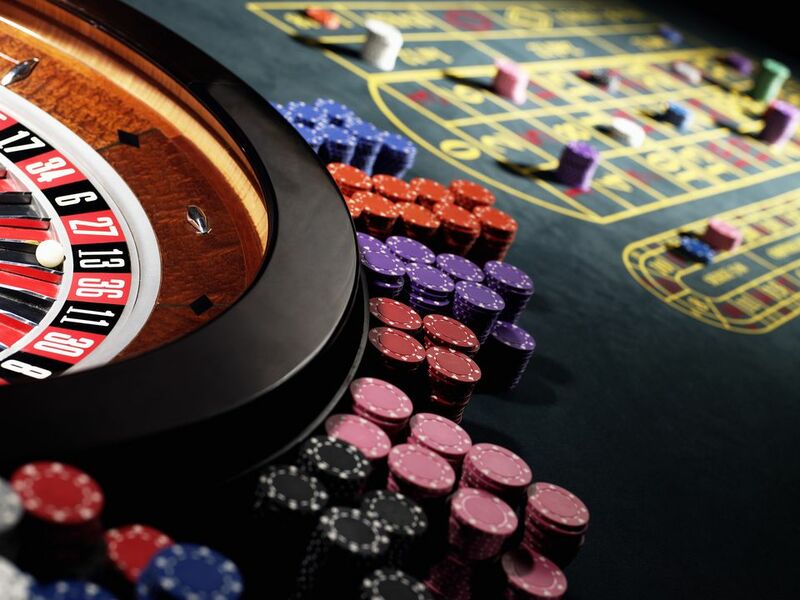 Many of Washington's larger casinos offer a range of gaming, entertainment, and dining options. Some are even full-service resorts, complete with hotels, spas, dining, and attractions. Tulalip Resort Casino is a complete destination in its own right. It has everything you need for a short getaway and can be your base for a more wide-ranging Northwest adventure. Tulalip Resort Casino is also a fun choice for an impromptu day trip or a special evening's entertainment. The quality of the services and facilities offered at Tulalip Resort Casino are consistent across the board — rooms, food, gaming, spa, pool, meeting spaces — all are exceptional. If you're interested in northwest coast art, you'll enjoy wandering through the hotel's public areas. Located on the west side of town near the Spokane International Airport, the Northern Quest Resort and Casino has everything you need for a refreshing getaway or a few hours of fun. In addition to all the usual table and machine games, Northern Quest guests will find a long list of restaurants and lounges and live entertainment. The Q, a spectacular sports bar, is a particularly awesome space to gather with friends and take in a game. For fine dining, Masselow's offers a menu filled with local Northwest foods. Guests of the Northern Quest Resort and Casino hotel will appreciate spacious rooms with high-end furnishings and amenities. Take the time to enjoy a massage at The Current, Northern Quest's full-service spa and salon. Gaming, food, and entertainment are the focus at the Muckleshoot Casino, which always provides a few hours of just plain fun. Located in Auburn, south of Seattle, Muckleshoot offers a full range of gaming, including machines, table games, keno, bingo, and poker. You' can take in live entertainment at the Club Galaxy and enjoy dining options that include the delightful Spice Bay Buffet. Muckleshoot Casino has an extensive non-smoking section. Snoqualmie Casino offers Vegas-style gaming, including table games, poker, and slot machines, as well as live entertainment. Snoqualmie Casino is home to five restaurants, including Terra Vista for fine Northwest dining and The Falls Buffet, a multi-station, multi-ethnic experience. A dance club and a cigar-and-scotch lounge are among Snoqualmie Casino's bars and lounges. While Snoqualmie Casino doesn't have its own on-site hotel, the romantic Salish Lodge at Snoqualmie Falls is just a short drive away. Slot machines, craps, poker tables, roulette, and keno are among your gambling options at Skagit Valley Casino. The resort also includes a hotel, an entertainment showroom, several restaurants, and special event facilities. The Skagit Valley Casino Resort is located in the small town of Bow, where you'll enjoy access to the waterfront shops of La Conner, scenic Chuckanut Drive, and a wealth of other Skagit Valley attractions and activities. This Ocean Shores resort offers it all - casino gaming, live entertainment, and fine dining. Throw in ocean views and access to outdoor recreation on Washingon's beaches and the Olympic Peninsula, and you have the makings of a weekend getaway. This Tacoma casino bills itself as "the entertainment capital of the Northwest." It offers big-name entertainment in its showroom, along with the electronic and table games you expect at a casino. The Emerald Queen Casino also offers a hotel and several dining options. With a lovely waterfront hotel and spa separated from the casino facility, the Suquamish Clearwater Casino Resort it a nice choice for groups where only some of the party enjoy gaming. The casino building offers a modest and smoky gaming space packed with machines along with areas for poker and table games. The resort's restaurants, including an all-you-can-eat buffet and a steakhouse, are located in the casino building. During your visit, you can also enjoy nearby White Horse Golf Club along with the attractions of Poulsbo and Bainbridge Island.